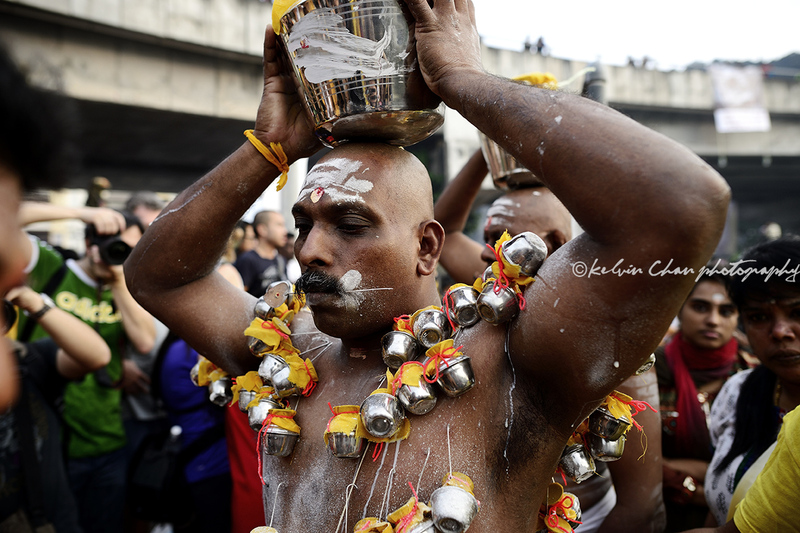 On 3 Feb 2015, The Malaysian Tamil community celebrated the Hindus festival of Thaipusam. This festival commemorates the occasion when Parvati gave Murugan a Vel ” spear’ so he could vanquish the evil demon Soorapadman. Every year Batu Caves will be filled with thousands of devotees, curious tourists and a whole lot of photographers.The atmosphere is one of sights and sounds. Colourful kawadi carry by devotees accompanied by furious beating of the drummer group. 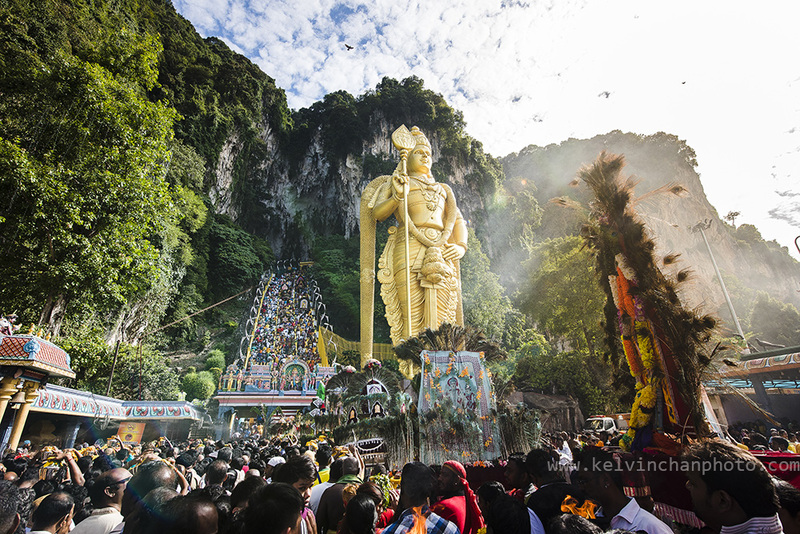 together with devotees carrying milk pot over their head amidst the cry of ‘Vel vel’ as they made their way up the 272 steps to the top od Batu Caves where they pay offerings to Lord Murugan. The festival of Thaipusam is one of the most colourful festival in Malaysia celebrated by Hindu community. Every year this festival attracts thousand of locals and tourists as well, including many many photographers. The ceremony start very early in the morning and lasted till late night, when devotees carrying kavadi and offerings up to the cave temple at Batu Caves.